Dr. Jim Shames has been Medical Director/Health Officer for Jackson County since 2002. He is Board certified in Family Practice and Addiction Medicine. His philosophy concerning Public Health is a very broad one, “I believe our citizens deserve to live in a community with all of the components of good health: clean air and water, healthy foods, access to health care, and protection from communicable diseases.' In addition, Dr. Shames believes our role is to look for emerging health risks and facilitate community resources to combat those risks to protect the population. Working in close collaboration with the Oregon Health Authority and local health care providers, Dr. Shames has facilitated a number of projects to ensure public health and safety for Jackson County. In response to the growing epidemic of opioid overdoses (prescription pills and heroin), Dr. Shames has been instrumental in the formation of Oregon Pain Guidance (OPG - formerly Opioid Prescribers Group) which is a collaboration of health care providers in Southern Oregon that facilitate the appropriate and safe treatment of chronic pain. The OPG has created guidelines for safe prescribing as well as having established a website for both professionals and the public (www.oregonpainguidance.org). In partnership with local Coordinated Care Organizations (CCOs) and other health care groups, Jackson County has pioneered innovative strategies to reduce inappropriate opioid prescribing including educational workshops, provider outreach, and the creation of new treatment programs. Last year our prescription drug overdose rate was the lowest in 12 years. Dr. Shames has been involved in other similar community outreach efforts including the Mental Health Collaboration group which brings Community Mental Health and the primary care providers together for dialogue and problem solving with the goal of creating the best mental health services possible for our Medicaid population. The Ashland Immunization Team (AIT) was formed 4 years ago to listen and learn from the public and health experts concerning what information was needed to inform those reluctant to immunize their children. A website (www.ashlandchild.org) was created with the close collaboration of the Ashland community and the leadership of Becky Sherman RN, MPH. The Medical Advisory Group (MAG) was a coalition of health care leaders brought together to advise Public Health during the H1N1 influenza pandemic. The group was so successful it has continued into the present with regularly scheduled meetings to assure close cooperation between community providers of care and PH in the event of a Public Health emergency. The monthly “Flash Report” which is disseminated throughout the region was an outgrowth of the original MAG meetings. 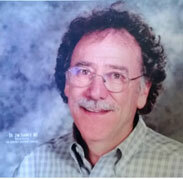 In 2012 Dr. Shames was awarded the Doctor–Citizen of the Year Award by the Oregon Medical Association for this work. In his spare time Dr. Shames enjoys traveling the world, photography, and spending time with his family.